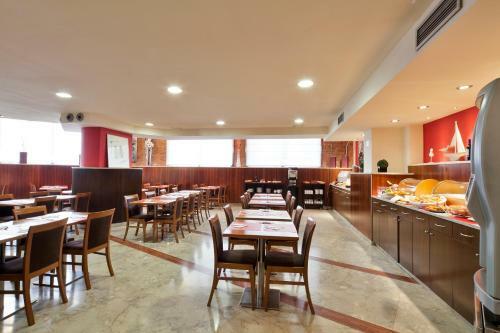 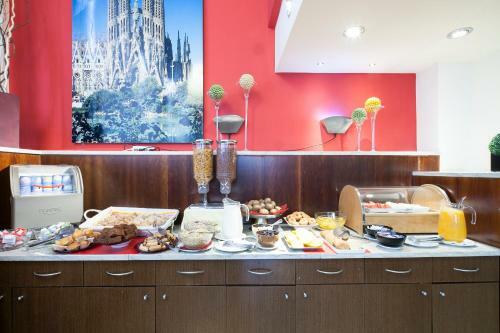 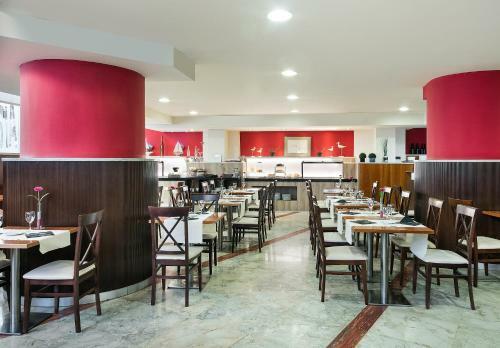 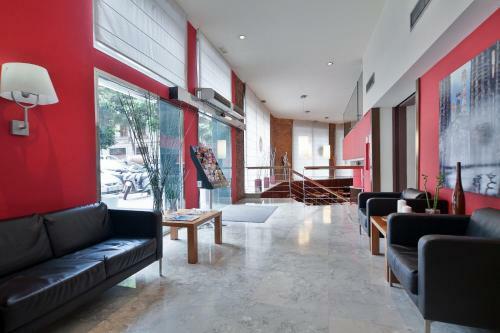 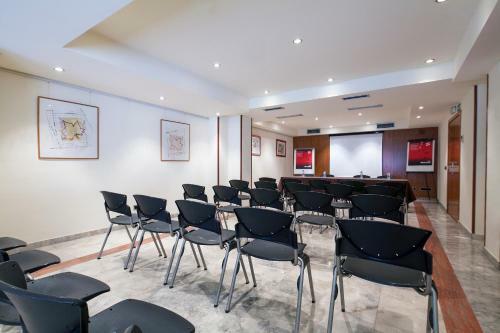 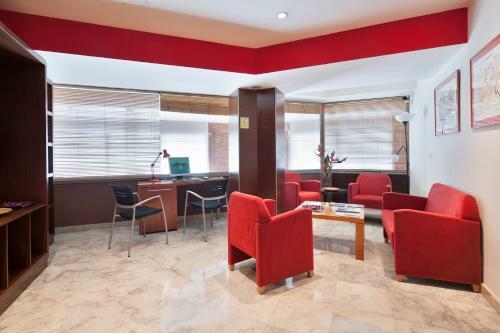 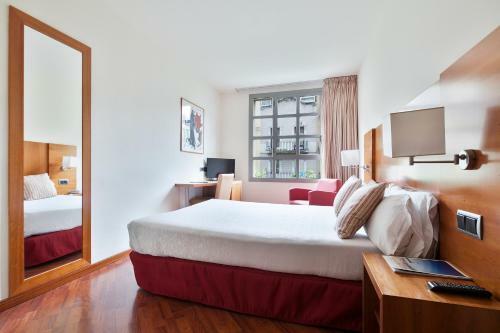 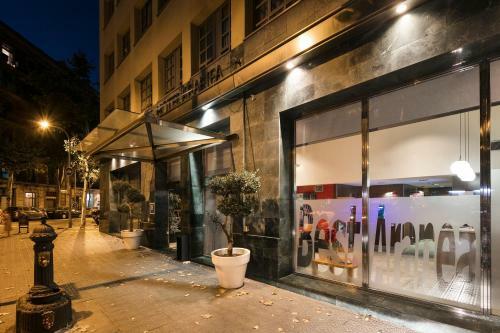 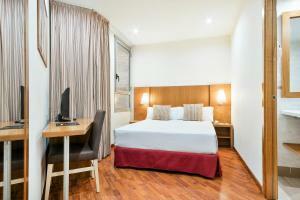 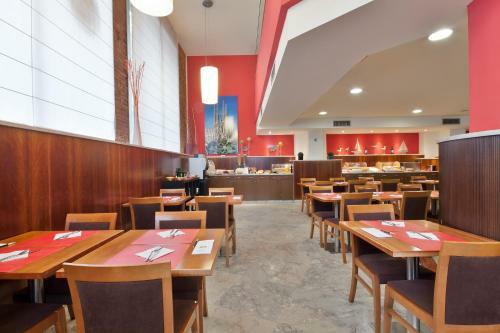 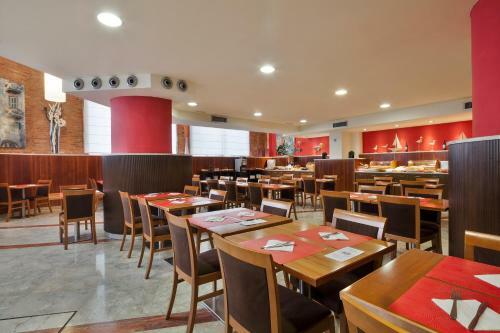 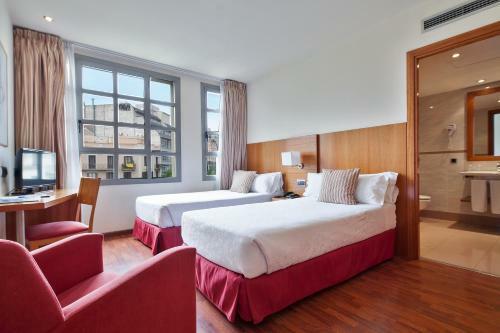 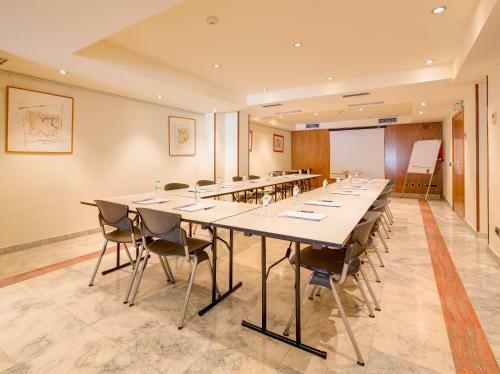 The modern Hotel Aranea is a 5-minute walk from Gaudi’s Sagrada Familia. 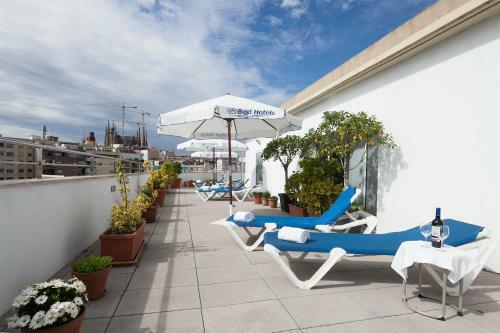 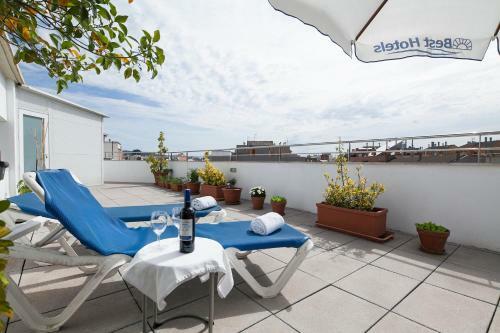 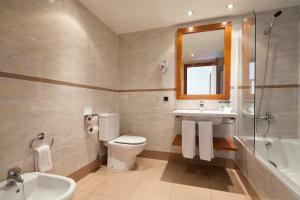 It offers free Wi-Fi, and a roof terrace with sun loungers and Barcelona city centre views. 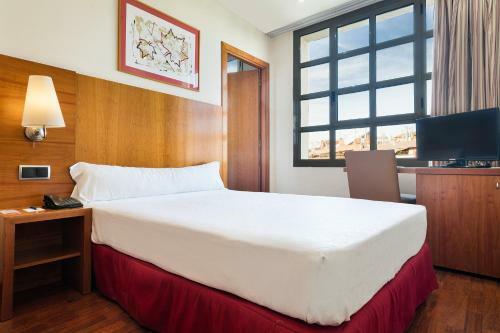 Monumental Metro Station and Bullring are just 400 metres from Hotel Aranea. 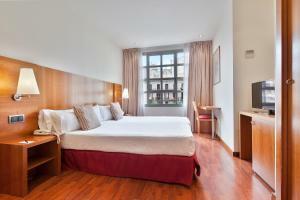 You can reach Plaça Catalunya and La Rambla in 10 minutes by bus or Metro. 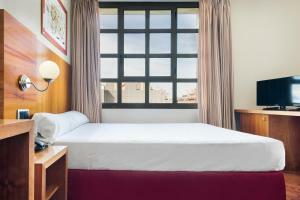 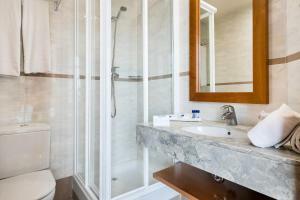 For reservations of more than 8 persons, or more than 7 nights, a prepayment is required. Once the reservation has been made a representative will contact the guest to arrange this prepayment. 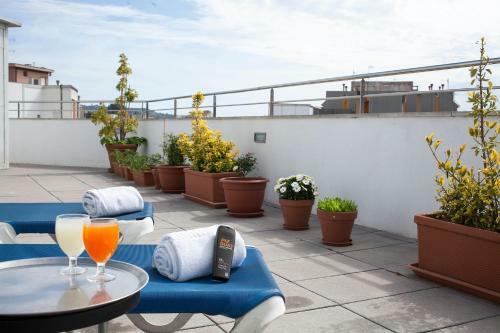 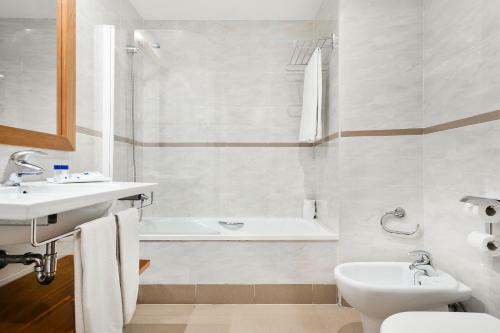 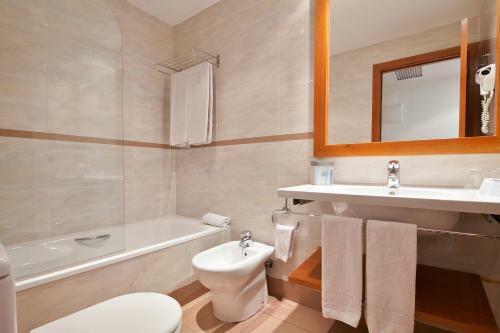 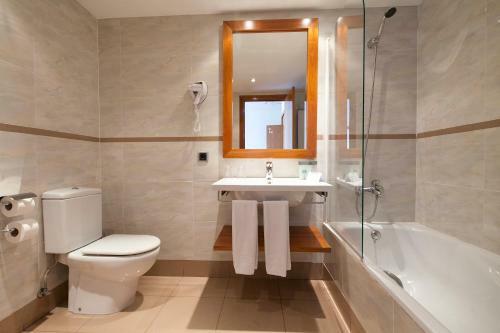 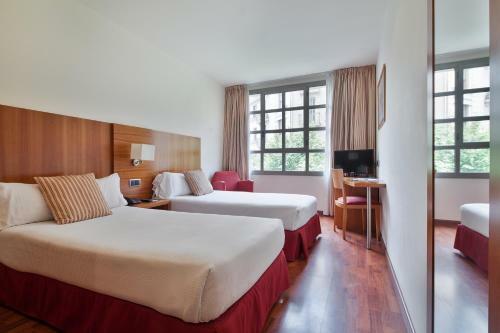 Rate: € 84.60 ... € 158.00; select dates below to get current rates.